Lake Shawnee Shelter House #6. 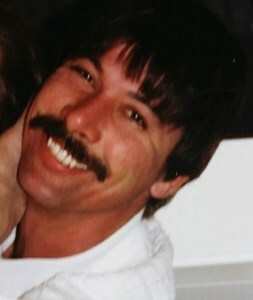 Michael Edward Crowl, age 57, passed away Friday, November 16, 2018. He was born March 6, 1961 in Pueblo, CO. The son of Duane E. and Barbara L. (Reyher) Crowl. Mike graduated from Topeka West High School in 1979. Michael was a master electrician and avid story teller. He married Lea Ann Campbell in 1985. He is survived by his three adult daughters; Jacqueline “Jack” Crowl of Lebo, Danielle “Dan” Crowl of Topeka, and Alexandra “Alex” Crowl of Manhattan; his mother, Barbara Rathert and step-father Ray Rathert of Topeka, brothers Flavious “Ben” Crowl and Joseph Patrick Johnson. He was proceeded in death by his father Duane Edward Crowl; brothers Patrick Crowl and Frank Crowl. Honoring Michael’s request cremation is planned. A celebration of life is planned for Saturday Nov. 24th, 6PM at Lake Shawnee Shelter House #6. Memorial contributions can be made to the American Cancer Society. Add your memories to the guest book of Michael Crowl. Thoughts and prayers to Mike's family. I have had the pleasure of speaking to Mike on several occasions, but never the pleasure of meeting him in person. Even as he was going thru his illness, he was always so kind to me. While my heart breaks for the loss of your loved one, it rejoices in knowing he is finally out of pain. Perhaps they are not stars, but rather, openings in the sky where our loved ones shine down and we know they are happy.